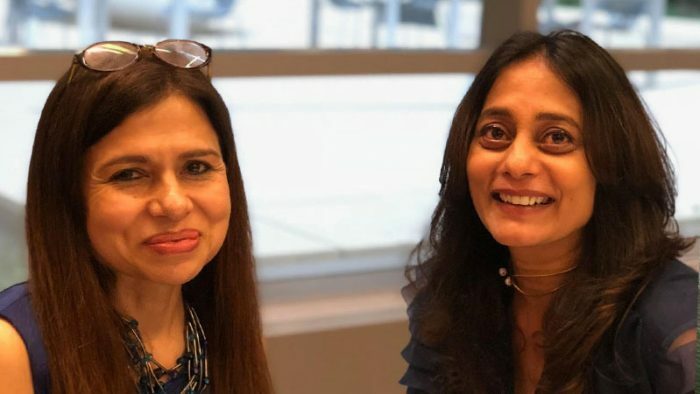 Yashaswini Samat, Chairman and MD, Grey Group India and Anusha Shetty, Founder, Autumn in this candid conversation narrate the tale behind Grey-Autumn integration and map the future of the partnership. “I say this to a lot of people right now that I feel like I am getting married again,” exclaimed Anusha Shetty, Founder, Autumn as she sits back to narrate the Grey-Autumn acquisition story. In October 2018, Grey Group, a WPP company, agreed to acquire a majority stake in Autumn Worldwide, an independent social media, and digital marketing agency, based in India. With Autumn’s headquarters in Bangalore and offices in Mumbai and (Gurgaon) Delhi, they have over 165 employees across their offices. Their client roster includes blue-chip and local clients such as PepsiCo (all 26 brands such as Mountain Dew, Quaker Oats, and others), Reckitt Benckiser Group (Mortein, Durex, Dettol, Moov and more), Samsonite, PVR Cinemas, Exide Life Insurance, Tata Salt, Raymond, Luminous and Freecharge, to name just a few. Grey Group’s clients from across the globe will benefit from the social media and digital marketing expertise provided by Autumn. …it reached a point where it seemed like ‘marriage on sleeves’. Just like in a marriage you meet, talk, get to know – it comes with time. Then there was no looking back,” she adds. Grey is very confident about having a great future ahead of it with this partnership. There are a whole lot of financial considerations that WPP entails when it comes to acquisition. “But for us the real thing that we look is that they must really be the expertise in the area they are functioning in, the value that they bring to the client in the whole digital space- whether it be social media, data insights, influencer management, online reputation management, we look at the real capability that the agency has built, the clients they are handling and how do client evaluate them, the kind of brand building they are doing,” quips Samat. Secondly, she also thinks that the most important is the culture and chemistry. For Grey, it’ a partnership, more than an acquisition. Samat sees each one learning from the other, accommodating and taking best practices from each other as in two cultures merging to create a world overall. Giving us a brief insight behind the strategic partnership Shetty quipped that today’s consumer has converged. He/she is not looking at digital differently or print as something different, so marketing teams in organizations have started converging too and they are no longer a digital or traditional Marketing Manager. Post the acquisition, the process requires a lot of planning and strategic evaluation of things and similarly Grey has been doing it internally. It is ensuring that the leaders of the two companies are in sync and are able to talk to each other transparently. In terms of how to do the duo work on current clients, co-locate, etc. “There will still be issues- but we will talk and discuss. We have been working together on this since last six months already. I am not expecting it to be a problem- less but at the end of the day we will be able to resolve,” informs Samat. The question that arises here is that is it okay for Shetty to be still about Autumn, is it okay for the founders to let it go? Not being resistant but instead extremely happy, Shetty sterns that her team has been given a larger base to climb in this larger world with this partnership. higher. What’s the future for the founder? 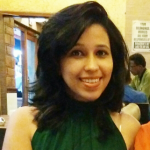 For Shetty, Autumn helped her in reinventing herself as a Marketing persona and she owes it to her team. She is also looking forward to growing at a much larger scale with Grey now. “We have very high expectations, not just from Autumn but from ourselves too,” observed Samat. The core expectation, however, remains that the agency adds value to the clients Grey handles, create a new narrative that will give this Autumn-Grey combination a better play for services. Is being a part of the bigger network is the only way to survive? Off late many independent agencies have come under a bigger umbrella on demands of sustainability and gaining an extra edge. While the acquisitions come with their own pros and cons, Shetty believes that it really depends on where your vision is. One can definitely grow independently. Autumn’s vision is to create great value for this ecosystem and thinks that within the converged world it sees an opportunity to do that better. “Every agency has to make a choice what they want to be and the vision has to be clear,” clears Shetty.